Everything related to the topic of ecology and greenery is now at the peak of popularity. But houseplants and floral wallpaper are one thing, and a huge skyscraper decorated with numerous living trees and shrubs is quite another. Let’s see how this will look in practice. 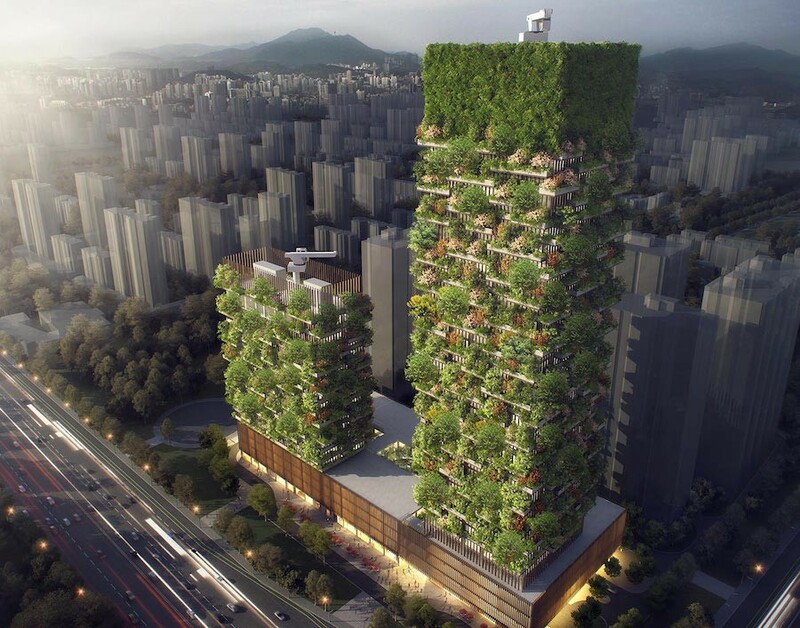 Stefano Boeri, a famous Italian architect, has big plans for vertical forests. Actually, he is willing to fill the whole world with them. 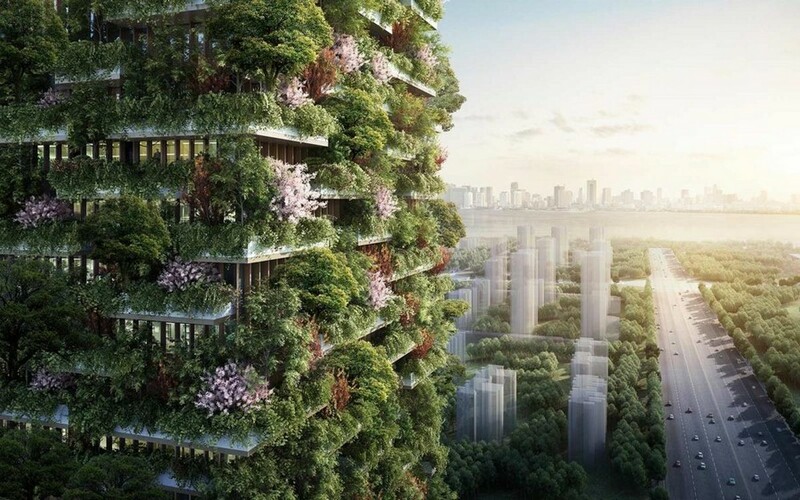 And his destinations are not some countryside areas or outskirts – he wants to see his gardens on the most modern multilevel buildings of the world’s biggest cities. Today his next project to complete is a couple of tower buildings in the Chinese city of Nanjing that are expected to be finished by the year 2018. The height of the towers will be about 200 and 100 meters and the architect plans to plant about 2,500 and 1,000 trees and shrubs on each of them respectively. And moreover, his project implies biological diversity – about 23 species of local plants will be decorating this marvelous construction. All of this beauty will be displayed right on the walls, on the balconies and on especially designed ledges. Its happy inhabitants and visitors will get a chance to feel like in a forest glade while being in the heart of a big city. The taller tower will accommodate offices, museums, an architecture school and a night club. The smaller building will be designed as Hyatt Hotel for 247 rooms and with a rooftop swimming pool. As you must have already guessed, Stefano Boeri’s designs are not just intended to diversify and develop city architecture. With his creations he seeks to influence the ecology of cities and make their flora more diverse and flourishing. For instance, these two towers will produce about 60 kilos of oxygen every day! A similar project of Stefano is about to be started in Switzerland. And Milan can already boast having two completed eco-towers of this splendid architect. This vertical forest is arranged in such a way that its plants can change their colors depending on the season and fill the city with all possible colors of the nature.